When you are planning to study in the USA a Visa is a very important document. So you need to concentrate on the USA Visa requirements before going to study in the USA. Any student who wishes to Study in the US should first obtain the Student Visa to enter the United States. Your course of study and the type of school you plan to attend will determine whether you need an F-1 Visa or M-1 Visa. Depends on your requirement you can apply for the Visa to the US Consulate or Embassy for an F or M student visa. But before applying to the U.S Embassy you should obtain the I-20 Form from the respected university representing that you have got admission. To know about the educational opportunities for undergraduate and graduate study, opportunities for scholars, admissions, and more visit the Department of State EducationUSA website. You can apply for the US Student Visa through online to book your slot. The application fee for the most common nonimmigrant visa types is $160. After applying for Visa the US Embassy will give you a Date to attend the Interview. On the given date you need to appear for a personal interview. If you have not performed well and have not submitted the correct documents at the time of the interview, your Visa will be rejected. So concentrate on USA Visa process and get approved visa to study abroad in the USA. For the sake of the candidates here we have provided the detailed Visa Interview process and Checklist for Visa. 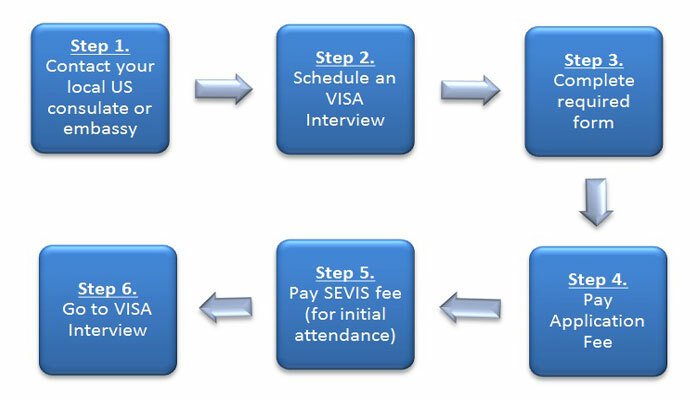 Check the the interview process and organize your documents to attend the interview. First, before approving the Visa, the American Consulate conducts an interview to check whether the student met all the requirements to study in the USA. If the Genuinity of a student is doubted they will reject the application. On receiving the Student Visa application the US Embassy or Consulate provides a prior appointment for Visa interview to the candidate. On the given the date the student should appear for personal interview. In that Visa Interview, the applicant should prove that he/she has strong ties with India and also he/she is not an intending immigrant. They should convince the Visa officer that he/she has the necessary funds to cover the cost of Education. While answering all the question asked by the Visa officer one should be brief and to the point. As the officers have a very little time for each applicant, they may not be able to look at many or even any documents at that time. So one should be patient and shouldn’t be angry if the officer is unable to review all the documents that are carried by the applicant. During the little amount of time the applicant should convince the officer by explaining one’s situation orally and by answering all questions promptly, patiently, and confidently. On the Same day of attending the interview, the applicant will be informed whether he/she has been granted Visa or not. If the Visa has been granted, the applicant can attend the university on the next day of approval of Visa. During Visa Interview process, the applicant should also submit the University I-20 form, to inform about your admission in that University. Only after having the proper University offer letter only Embassy will approve your USA Student Visa. Therefore it is advisable to make the final selection of the University very carefully. 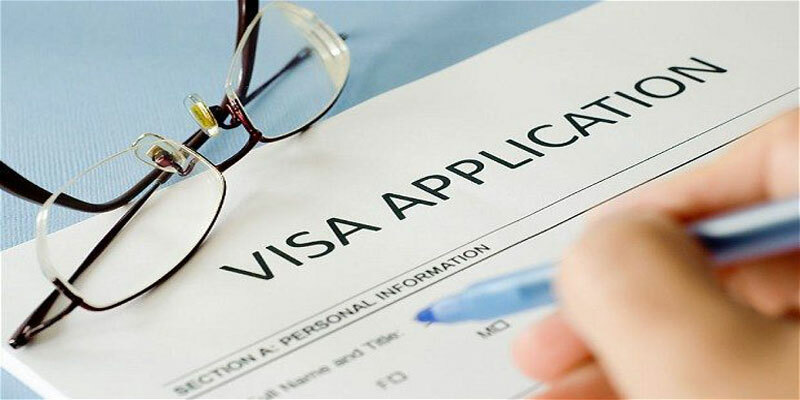 If for any reason your visa is rejected in the first attempt, you can reapply for US Student Visa after 3 working days. While attending the interview you need to carry some necessary documents along with your Visa application. The US Embassy will ask them during the interview to check your purpose of visiting the country. Below is the list of Documents you need to submit during your Visa Interview. Organize all documents according to the USA Visa requirements and attend the interview. Passport having the validity of at least Six Month. Educational Certificates, Degrees, Diplomas & Mark sheets. Evidence of Scholarship/Aid/Grant, if any. Score Reports of TOEFL and GRE/GMAT/SAT. I-20 and Admission Letter from the University/College mentioning the total cost of education in the USA (If You have received Admission letters/Rejection letters from more than one University, carry all of them). Bank Statements/Pass Books of the sponsors for the last Six Months. Work Experience Certificate/Reference Letter from Employer, if Employed. Summary Statement of Assets and Total Income of Family Members. Income Tax papers of the sponsor and his Family for the last 3 years. Proof of all movable and immovable assets.